It’s Almost Time for Munzee Madness 8! Details, Sales and More! It’s almost that time of the year again— Munzee Madness season! That’s right, Sunny California is gearing up for the longest running player run events of the year. 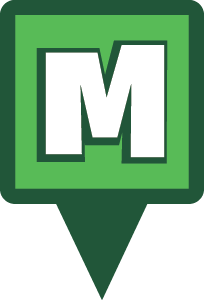 To celebrate the event, the entire California Freeze Tag office will be attending Munzee Madness 8! Freeze Tag will also be hosting their own event in conjunction with the Munzee Madness player sponsored events in order to provide double the fun! Even if you can’t make it out to California to attend the events in person, there are still ways to participate from home. Mark your calendars and cancel your plans, because MM8 will take place from Friday, March 8 to Saturday, March 9. You can find the full Munzee Madness schedule at the end of the post. There will be a variety of events for all attendees to participate in! Are you interested in meeting a portion of the team behind everyone’s favorite global scavenger hunt? The entire Freeze Tag California office will be in attendance, including Craig Holland (Cholland86), Mick Donahoo (fixitman), Mari Rann (Kirikat), and Tamara Sahagun (Raan). There will also be a dinner hosted by Freeze Tag on Saturday night in order to allow players more opportunity to interact with the people behind the scenes after a full day of MM8 Road Rally! Virtual Garden Fun for All and Sales! Whether you can attend the event in person or you’ll be celebrating virtually by playing the game at home, there are a variety of ways you can participate in MM8 regardless of location. We are excited to share the designs of four gardens that will surround the event, so that all players worldwide can earn some CapOn points. Choose from the Craig Park, Ode to 1849, Officer Down, or Ode to q22q17 to deploy in! You can access a listing of a number of Virtual Gardens in the area here. Why limit yourself to deploying in one Garden? In celebration of MM8, we decided to release some special offers in the Freeze Tag Online Store. Previously, Virtual Trail Munzee Credits could only be purchased in packs of five that included five Virtual Munzees as well. Now, we are releasing individual Virtual Trail Munzee Credits that includes one Virtual Trail Credit and no Virtual Munzees! Our Virtual collection will now include Temporary Virtuals, Virtual Trail Munzee Credits (multiple), and the Virtual Trail Munzee Credit (single). All three of these items will be 19 percent off through Monday, February 25 at 10:00 MHQ time. Deploying in one of these Virtual Gardens is a great way to support the events even if you can’t make it in person! Have you never deployed in a Virtual Garden before? Don’t worry, we’ve made it easy for you! Check out this step-by-step tutorial to help build a Garden today. All you need to do is purchase some Virtuals, maybe a few Color Credits, and select a garden to start deploying in. If you can make it out to Cali for the weekend, we’d love to see you! And if you can’t, make sure you join in on the fun virtually! Don’t forget you can host your own Munzee Events as well, and it sounds like April would be a good time to start. Details: Kick-off event for MM8! Say hello to 1849, buy some munzees, cap some special event icons, and earn a cool badge! Details: Fuel up before the Road Rally! 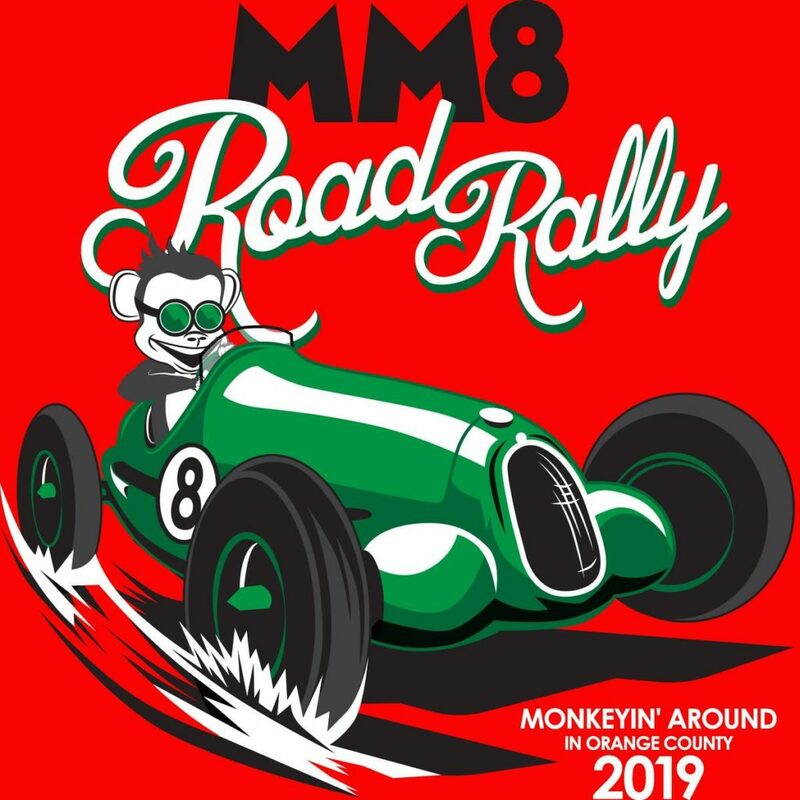 Details: Barrel of Monkeys; Stage 1 of 5 stages for the Great MM8 Rally! Details: Continue the rally at Stage 2! Details: Stage 3 of the MM8 Road Rally! Grab some lunch at this pit stop and join the group at the fountain area. Details: Stage 4 will be the “Out of Towners Station,” which might provide some of you with your first taste of Vegemite! Details: The Final State of MM8: Road Rally! Celebrate the day’s events before the Dinner Event! Details: Dinner hosted by Freeze Tag! Enjoy food, festivities, and prizes from the Freeze Tag staff! Details: Wash the road dirt off of your Rally cars and hang with the WallaBee group! These April Events Are No Joke! 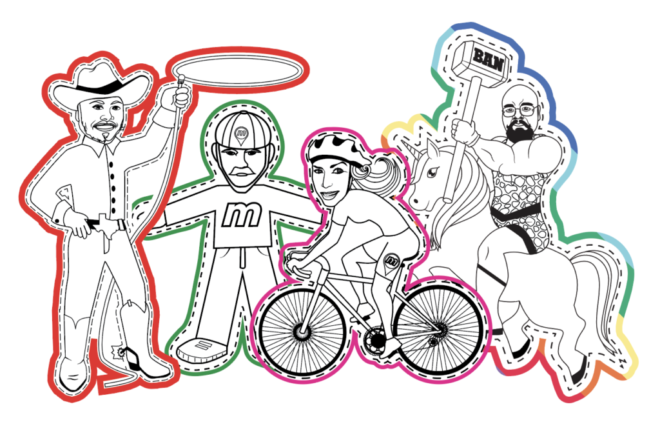 Are you ready to have some fun with Munzee Events this April? We are excited to announce we are offering special packages for the whole of the month of April! For $20 extra you can add a little more fun to your event, too. 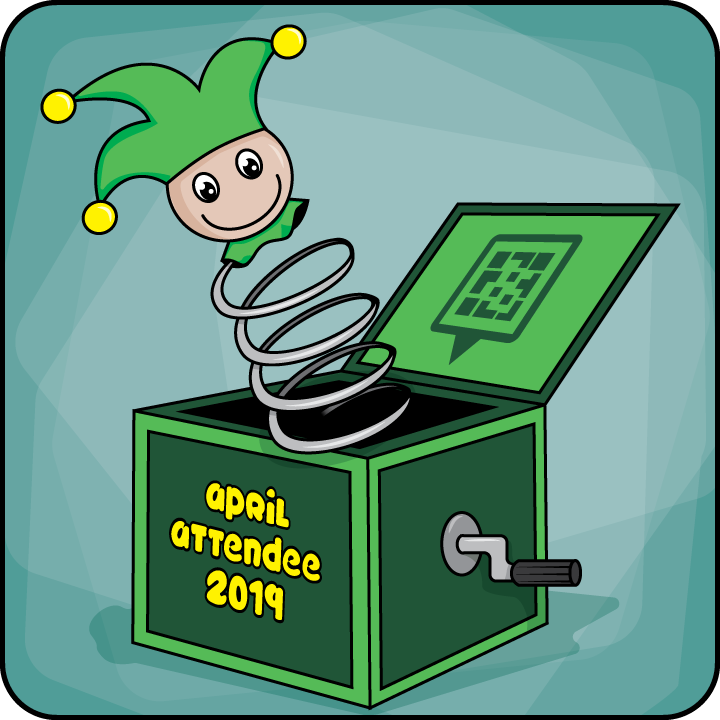 We will code a special munzee in your event account with an extra April Fool’s Badge, and when capped it will give points ranging from 50 all the way down to a possible -5! Each player will also get a prize wheel credit, so not all is lost! So get those events on the calendar, orders in, and artwork requests to me nice and early please. As Trish’s diary fills up, we will have to move to generic artwork. If you’ve never hosted a Munzee event before, don’t worry! I will guide you through the whole process, and I look forward to working with you. If you’ve hosted before, I look forward to working with you again! December (and 2018) are nearly over! 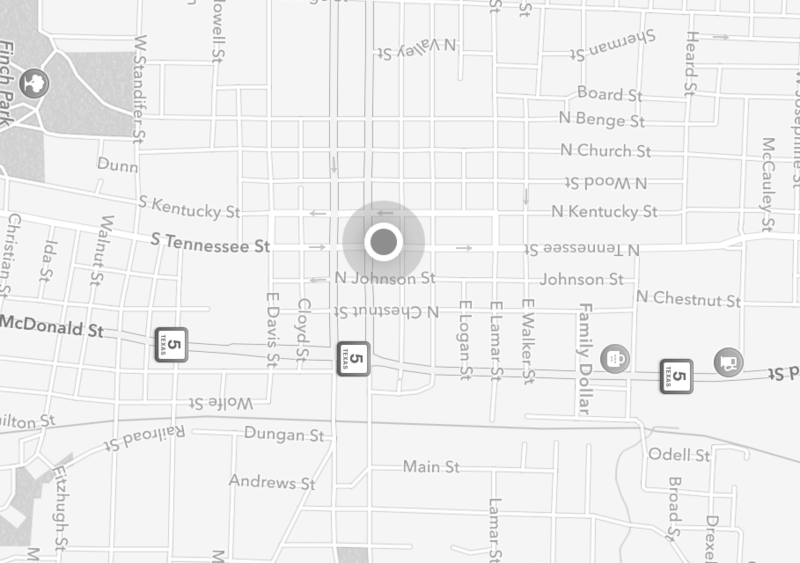 That means a whole new month of Flat Friends on the map! Check out the schedules for each Flat Friend below and remember that the newly released Fancy Flat Robs bounce to Flat Robs when they’re active. Double points on January 26 for all activity on Flat Lous for her birthday! 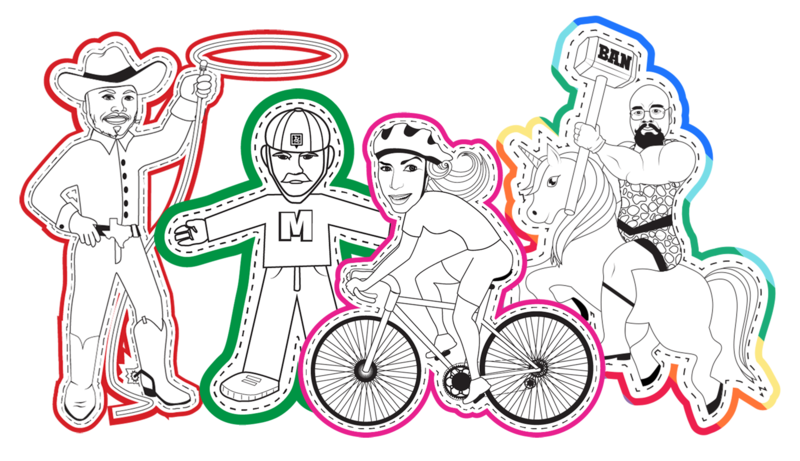 MHQ Bash 6 dates and more! Hey everybody, as 2018 comes to a close we have some announcements for MHQ hosted events in 2019, including MHQ Bash 6, Munzee Madness 8 and more. These events will include a variety of features to make them bigger than ever before and we want to celebrate with as many of our players as possible. Please keep in mind that there are still many details to line out for these events, but we wanted to give everyone adequate time to plan if they’ll be joining us. We will be hosting a dinner on March 9, 2019 in conjunction with Munzee Madness 8, an annual weekend of player hosted events in California each Spring. Although this gathering is separate from the planned events of Munzee Madness, we hope that Munzee Madness players will join the Freeze Tag team members for an evening of food, festivities and fun. The event is free to the public and you can RSVP by visiting the event page on the Munzee Calendar. As a continuation of our Coexist Campaign, we will be hosting an event near GeoWoodstock XVII in Fort Worth, TX the weekend of May 25, 2019. GeoWoodstock is primarily a geocaching event, but the mega event has proven to be an ideal opportunity to cross-promote all location-based gaming. No details regarding time and location have been defined yet, but expect more news closer to the event itself. We’ll celebrate our eighth birthday near FTHQ in Orange County, California in July 2019. No specific dates or locations have been set for this event, but players can expect the opportunity to earn multiple badges, meet members of the Freeze Tag team and more. Stay tuned for more information regarding worldwide Birthday event themes next year. After the success of MH-BOO Bash in October, we’re excited to announce the dates of the sixth annual MHQ Bash. To accommodate the event season, dates for MHQ Bash 6 have been set for the end of September. MHQ Bash 6 will kickoff on Friday September 27, 2019 with various events throughout the weekend until September 29. Like previous years the Bash will once again take place in North Texas. No specific locations have been chosen yet, but we plan on exploring new areas in the cities surrounding McKinney, TX in the coming months. MHQ Bash 6 attendee packages will go on sale some time next year so stay tuned for more information. Players interested in joining can RSVP by visiting the event page on the Munzee Calendar. These events are sure to be a great time, but you never know what else might pop up throughout the year. Please note that these are just Munzee events we’re hosting, team members will still be going to a variety of player hosted events throughout the year as well. We hope you’ll join us at various points in the year! Follow the blog for more information about Munzee Events in the coming months! UPDATE: Since Flat Reindeer Specials bounce to Flat Friends all Flat Munzees will be active through December 26th. They will then return to their normal schedules as listed below. With Fall and Winter holidays nearly upon us at MHQ, we decided to release the Flat Friend schedules for December a bit early! Happy Holidays and Happy Hunting! With Christmas events in full swing Flat Lous will be on the map all December long! After a frighteningly fun month of Halloween events and adding a new Flat Friend we’ve got November’s Flat Munzee schedule for you!